Like a lot of Nova Scotians, maybe you’ve had to leave. Maybe you were pulled away by a career. Or you moved for the sake of family. Or you left for some other opportunity and just haven’t had the chance to come back. Well, maybe it’s time to come home. We bet there’s a little Nova Scotia missing from your life. Breweries, cheese makers, cideries, lavender farms, orchards, distilleries, vineyards . . . whatever small batch, artisanal thing you want, you can get it here. In fact, explore a bit and you’ll start to find all kinds of things you didn’t know you want but just have to have. Wild blueberry vodka? Yes, please. Canada is a country of lakes. We have something like two million of them. And they’re very nice. But there’s nothing quite like the ocean. Nothing beats standing on the shore and looking out across the all-consuming horizon, except maybe for watching a magnificent Atlantic storm from behind the shelter of a thick window while you’re safely ensconced in a cozy living room. And the views are just the beginning. The ocean provides a year-round bounty of seafood, amazing sailing, rich cultural history, and makes every day a little more breath-taking. Even golf by the ocean is a whole new challenge. Sure, when it comes to shipping seafood, they can do amazing things these days. Live lobster can be found in fishmongers and supermarkets far away from the sea, fresh (never frozen) fish gets shipped overnight, and in a pinch, even the flash frozen stuff isn’t half bad. But let’s be honest: there’s nothing like eating lobster so fresh that it was pulled from the ocean not a couple hours prior. And of course, you can ensure optimal freshness by going out and getting your own. Quahog digging, anyone? Sure, everyone else will disagree. But what do they know? If you’re a local, you know that nowhere else has such a range of beautiful spots. Like what? Like Lunenberg on an early misty morning. Or the autumn leaves you can find on the Cabot Trail. Or the fortress at Louisbourg. Or the red soil in the Valley. Or the blue-green waters in the quarries near Cheticamp. Or the spectacular, warm beaches of the Northumberland Shore. We could go on. No doubt you’ve played this little parlour game: you’re at a social occasion, someone mentions that they’re thinking of visiting Nova Scotia, and suddenly your expertise is required. You need to tell them all the secret spots, which attractions are really just tourist traps, and whether or not they’ve made smart plans. But we all know that there’s no better guide than a local, when you want to introduce Nova Scotia to a non-Maritimer, why not take matters into your own hands and show them around yourself? 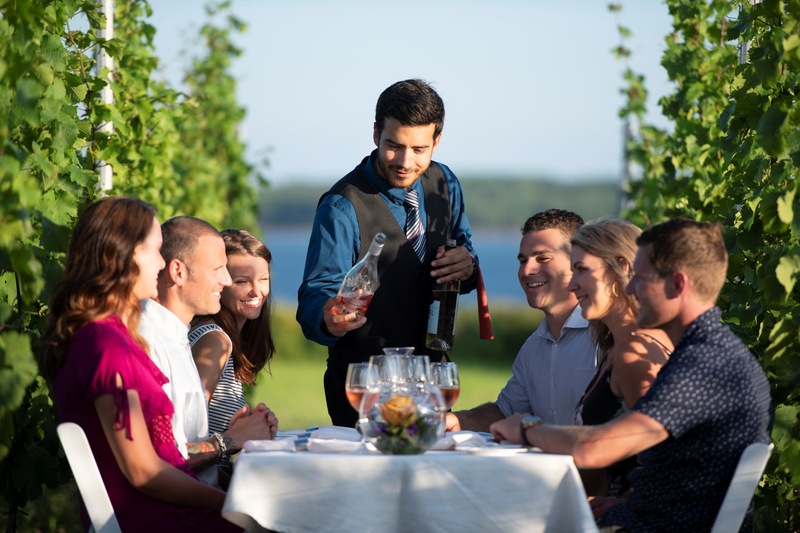 The next time you return home to Nova Scotia, why not bring a few friends and give them the best possible taste of Nova Scotia life? 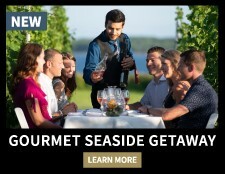 Or even better, why not invite them to experience all that Nova Scotia has to offer from your own seasonal home in the province? Fox Harb’r Resort is proud to offer the homes of Marina Landing. With sparkling glass and graceful woods, long and wide and overflowing with ocean light, these are as much galleries as homes, framing uninterrupted views of our marina, lighthouse, championship golf course and most of all, the Northumberland Strait. To be completed in 2020, these are the defining statement of Fox Harb’r founder Ron Joyce’s original vision for our 5-star resort: “Luxury without pretension, in one of themost beautiful places on earth.” Start your journey immediately by contacting Eric Lum at (902) 412-4812 or elum@foxharbr.com or by visiting foxharbr.com/marinalanding.